Who? Sudanese military claimed the capture and killings of rebels in heavy clashes. What? The army reported the capture of a key rebel base along with the killing of around 150 rebels and capture of another 72. Where? The military operations reportedly took place in the remote Jebel Moun area of Darfur region, western Sudan. When? The raid took place on Friday, 14 May, when Sudanese army moved into the area. Why? 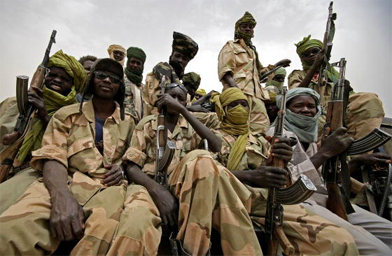 JEM rebels are waging an insurgency against President Omar Hasan Al-Bashir’s government in Khartoum. They accuse the government of exploitation and neglect of the oil-rich Darfur and Kordofan states in western Sudan. The government labels the rebels as thugs and holds them responsible for committing human rights abuses in the region. How? Reports say Sudanese army responded to an earlier JEM militia attack on a food convey protected by the local police. The rebels deny such claims and accuse the government of waging new offensive in the region after last month’s general elections.